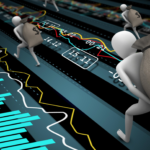 Experienced binary options traders can do very well for themselves with the basic high/low or call/put options. They can also use what they have learned to begin making large sums in the touch/no touch options. However, if you are looking to maximize the use of your knowledge and skills, you will want to explore boundary options fully. Not many areas of binary options allow for speculation. After all, there are no gray areas in yes/no propositions, but when you use boundary options, you do enjoy a bit more breathing room. This is because they allow you to speculate on the fluctuation of asset prices in your market over a specific period of time. The range, often described as a tunnel, allows pricing to increase or decrease within your chosen range. Now, the bit of boundary options that becomes more of a gamble in other types of binary options is that a boundary option cannot exceed the pre-established limits at any time during the contract. So, boundary options are excellent during tumultuous periods of volatility, although they can cost you the investment. Here’s what we mean. Let’s say that you wanted to enjoy binary options on a traded pair of currencies such as the US dollar and the British pound. You would choose strike prices that set the highest amount and the lowest amount. If you were an expert in currencies and forex, you would know the safe range at which to lock your option. The contract would probably run minutes to hours, but no more than that, and at the end you would be able to see if your option remained accurate and paid off. However, if in the 30 minutes that the contract was valid, one of the boundaries was breached, even by a miniscule amount, the trade would be a bust. Unlike touch/no-touch options, and high/low options, boundary options are more difficult to pin down in terms of their payouts. They vary widely from broker to broker and from asset to asset. Trades can and do finish out of the money, and trades can also be designed to be outside of boundaries rather than within them. Again, this allows you to easily leverage knowledge of a specific asset, and to use that knowledge when you find trading options that paint an accurate and/or feasible portrait of the asset’s behavior. Boundary options are becoming more popular because of growing knowledge in basic binary options. Adding binary options to your investment strategy is wise, and using boundary options to profit from volatility in your areas of expertise is likely to pay out well. Whether you know that increases or decreases are likely to occur, consider how you might use this information in boundary options. Though high/low options are classic investment instruments, it can easily be argued that boundary options are far more advantageous and profitable. Meta description: Boundary options are one of the hottest types of binary options and allow you to benefit from volatility and gray areas in finance and market activity.